GREAT GIFT FOR GIRLS! Bold, bright, and beautiful. These words describe a woman who changed our country in the 1960s. She was a voice for African-Americans. She was a television star. She has lived a long life and touched the lives of many. Before Shirley Chisholm ran for President and before Doctor Mae Jemison traveled into space, there was Star Trek. The television show started in 1966. Women continue to be treated by different standards than men, even today, but in the 1960’s it was a thousand times harder for women and a million times harder for African –American Women to become successful or accomplished in any field. This story describes some of the difficulties and the many accomplishments Nichelle Nichols experienced in her life. The show, Star Trek, is an important part of American entertainment history. It has left its mark and is still remembered even today, as new movies come to theaters and a new television show is being made. Star Trek has given a lot of people many different things. Fans of the shows and movies find their own meanings and lessons. It also gave little girls and young women around the country in the 1960s a beautiful woman named Nichelle Nichols. 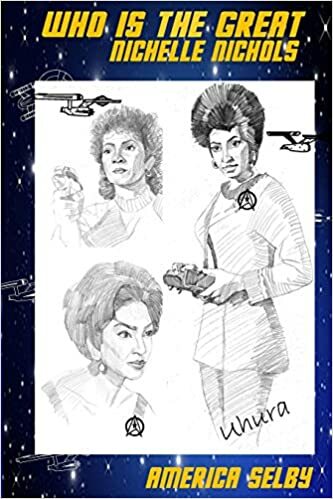 For three years, she played the character of Lieutenant Uhura on the television show. She later played Uhura for another twelve years in six Star Trek movies during the 1970s, 1980s, and into the 1990s.